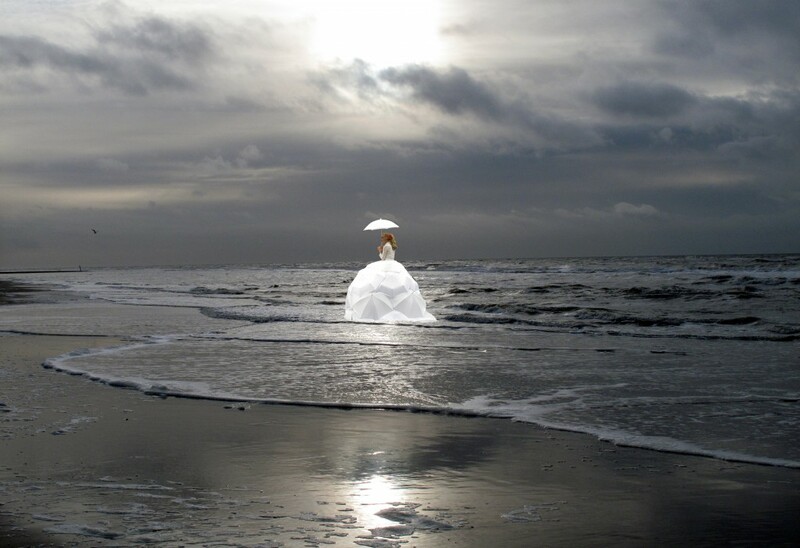 Is it the wandering ghost of a lady, or maybe a Siren? 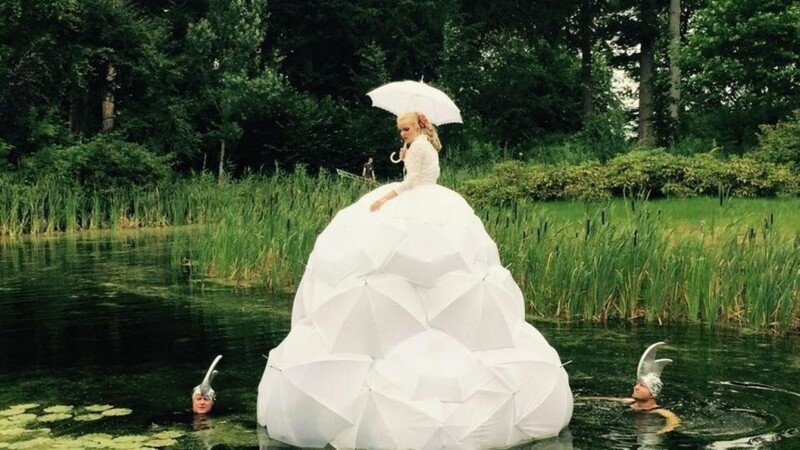 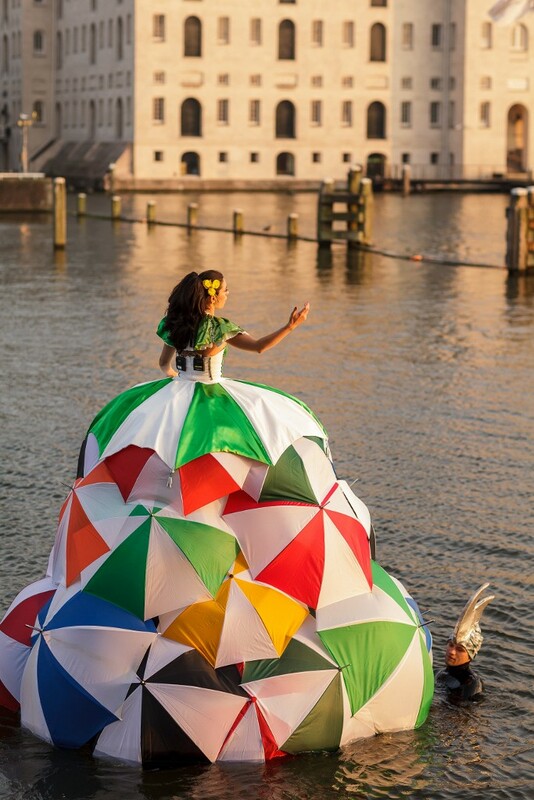 Floating in a huge ball gown of umbrellas and propelled by two graceful water lackeys, a soprano enchants the audience by singing popular arias by Mozart and Puccini. 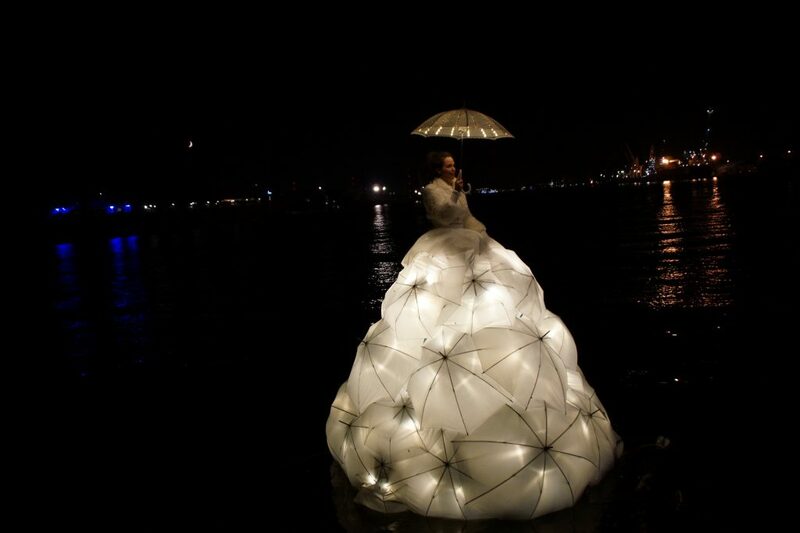 As night falls and it gets dark, the Diva will appear in a light costume. 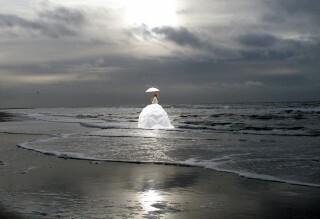 As a wisp she floats on the water, creating a magical effect. 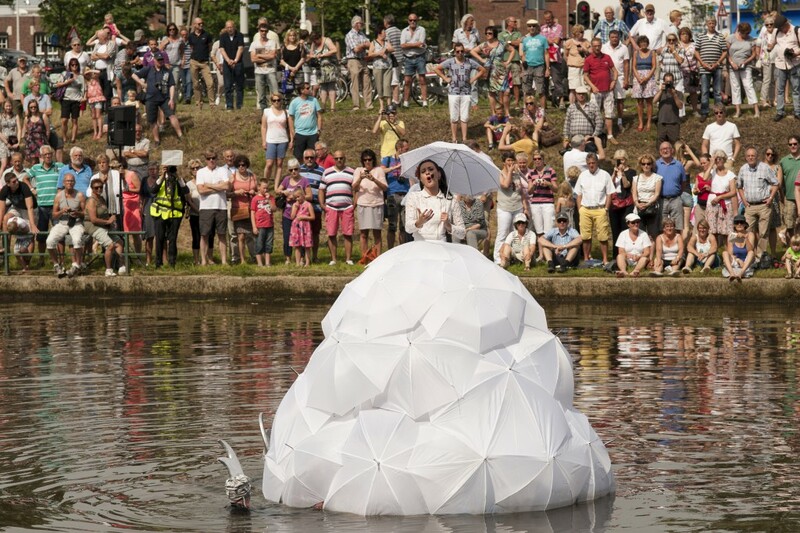 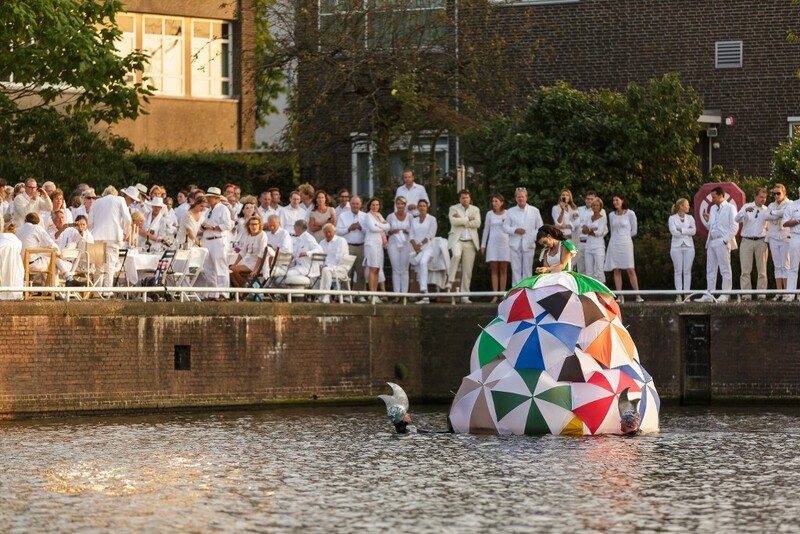 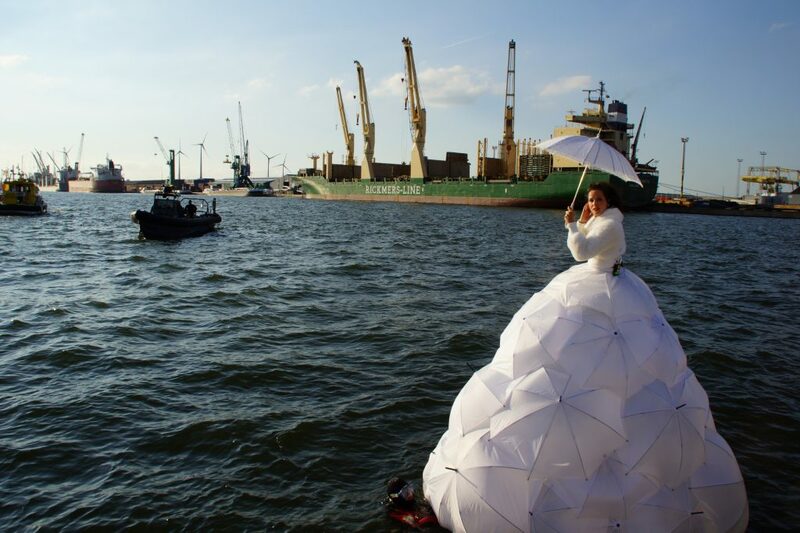 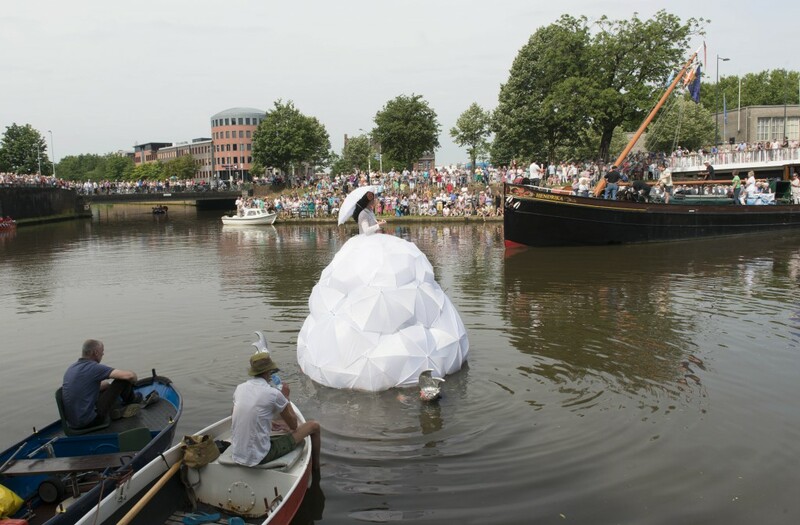 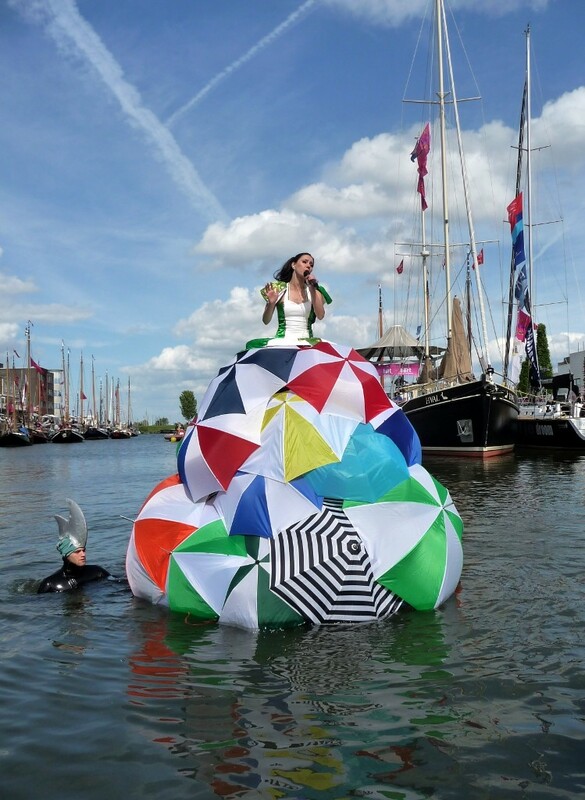 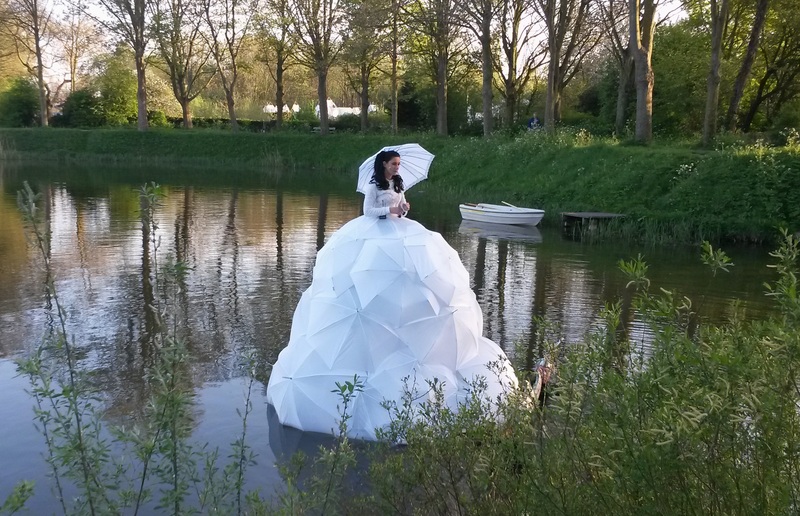 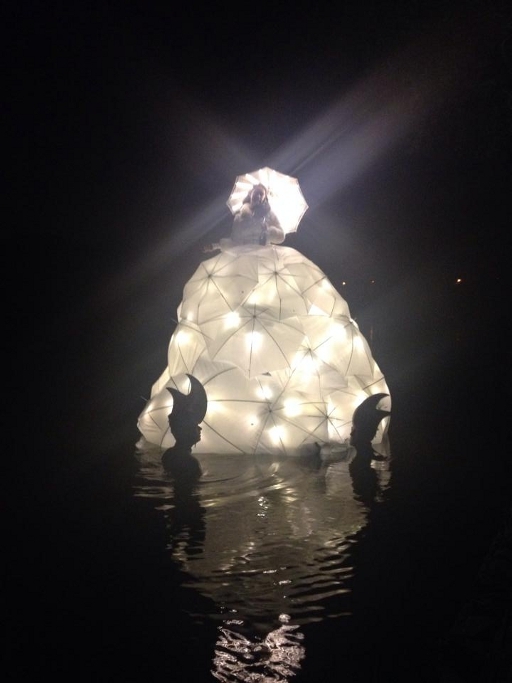 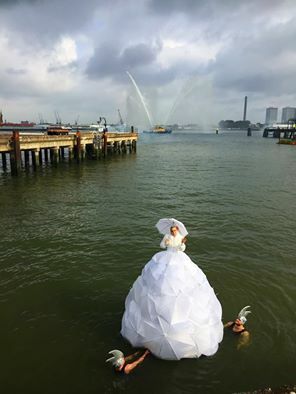 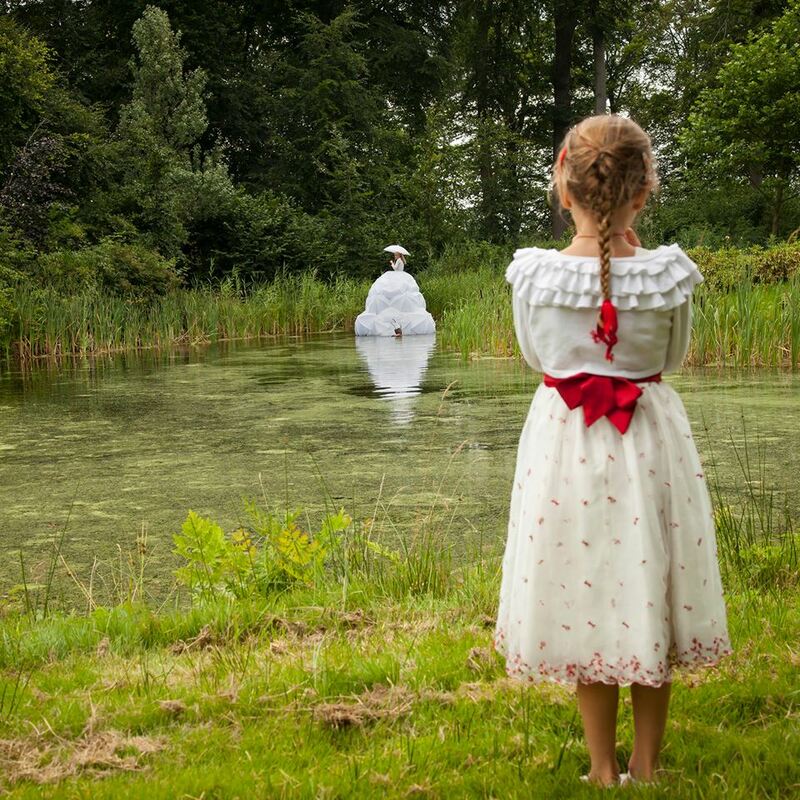 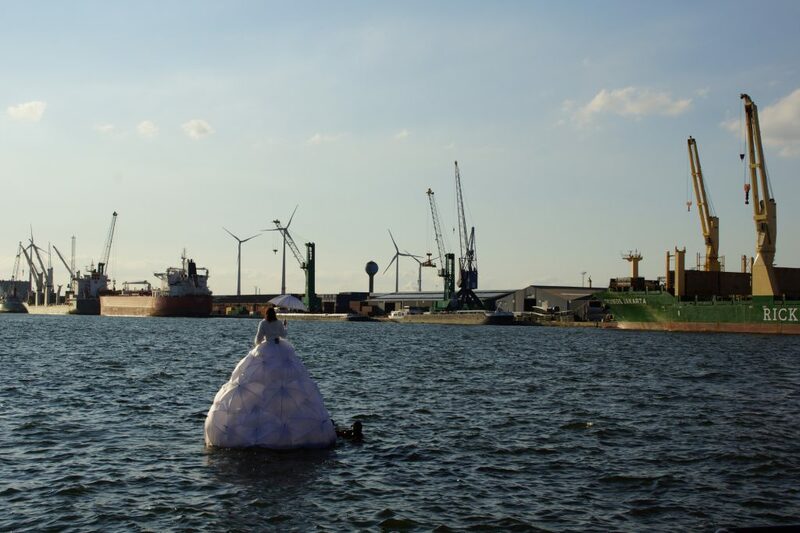 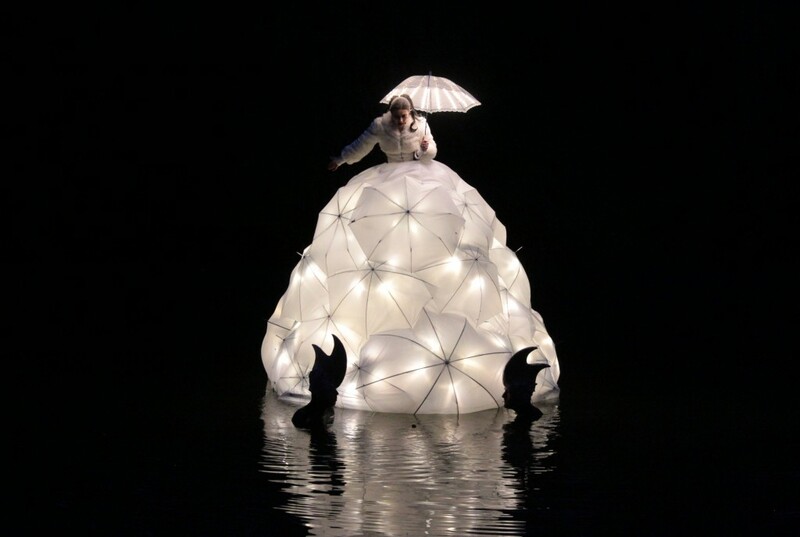 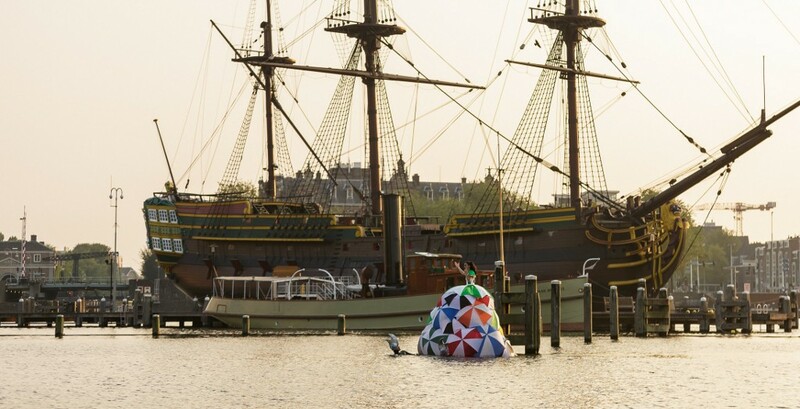 The Floating Diva is a short musical act performed on the water, devised by Victorine Pasman (who also designed the costumes) featuring a soprano. 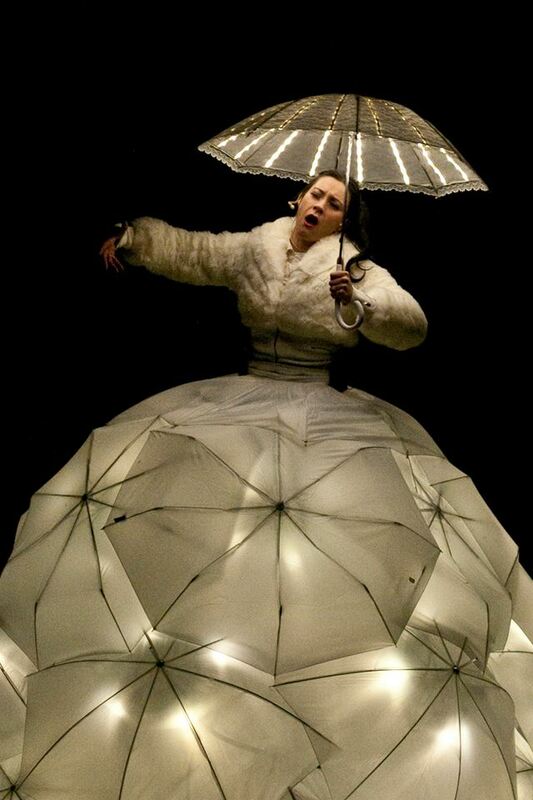 One of the singers in Frédérique Klooster. 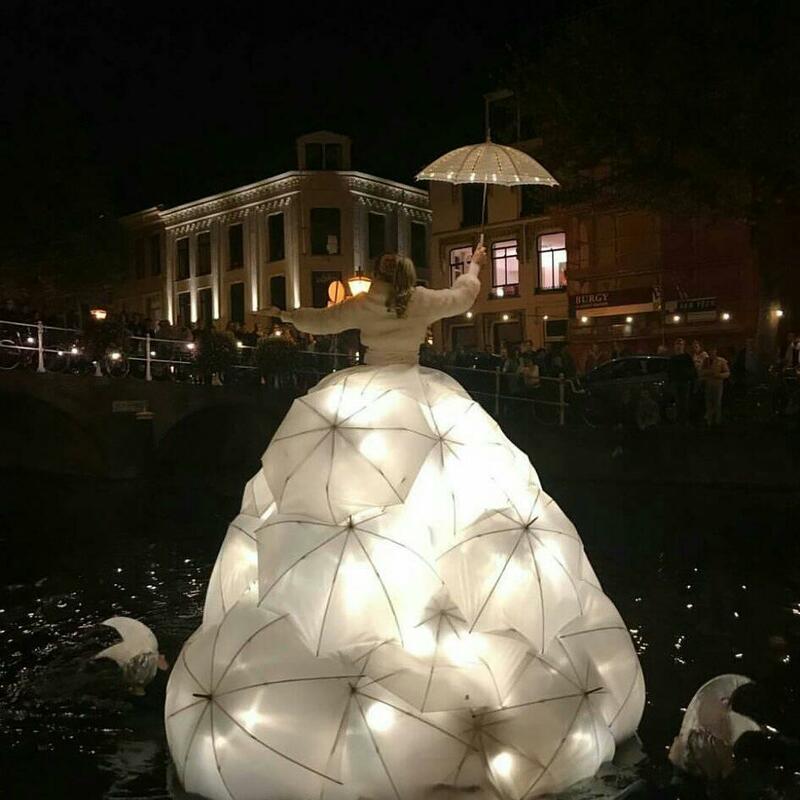 It has so far delighted audiences at festivals and events in the Netherlands (Lowlands, Oerol, Solar, Gergiev Festival, Festival Classique), Germany (Musikfestspiele Potsdam), Belgium ( Festival of Flanders) and France (Festival du Périgord Noir). 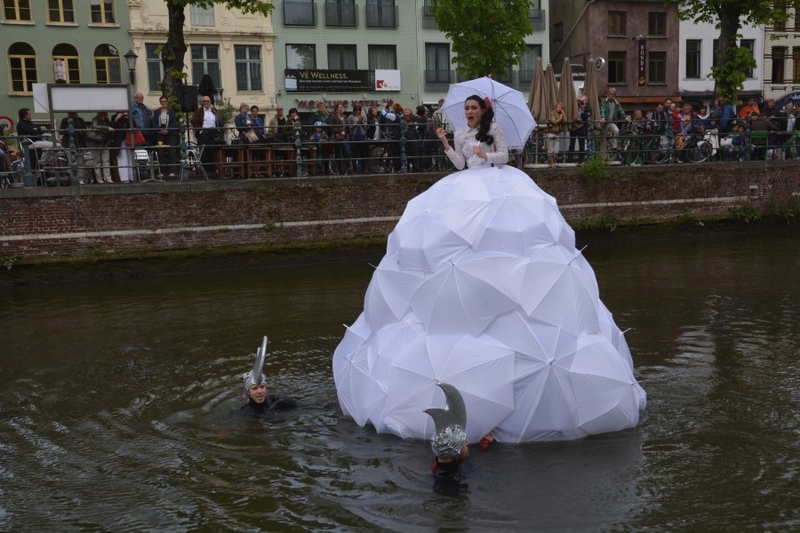 Check out PRESS to see the Floating Diva’s media attention.